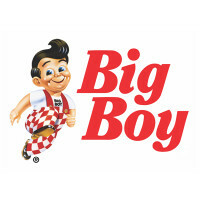 Big Boy Restaurants LLC is an American restaurant chain and its headquarters is located in Warren, Michigan, Metro Detroit. It serves its client with burgers, pasta, fish fries, salads, snacks, sweet desserts, teas, lemonades, and sandwiches. The company was founded in 1936 by Bob Wian. He started his company from a small hamburger stand in Glendale, California. The name ‘Big Boy’ was in honor of his six-year-old customer, a big fan of his hamburger. For 80 years, the company has built around 80 restaurants in California, Illinois, Michigan, Ohio, and North Dakota. It also has restaurants in other parts of the world. The company provides various perks to its full-time employees. It offers flexible time schedule, opportunities for career growth, and a fun working environment for everyone. People like working in Big Boy because of the benefits it offers. Also, this is a good avenue for getting work experience, especially in the case of fresh graduates. How old do you have to be to work at Big Boy? The company accepts applicants ages 16 and above. Moreover, they wish to hire applicants who are at least high school graduate (or an appropriate equivalent). Assistant Manager: The Assistant Manager is tasked with supervising and managing his team members. He reports directly to the Executive General Manager. Also, he is responsible for teaching the rules and procedures of the company to his team. He must possess organizational and communication skills to deliver excellent service. Buffet Attendants: The Buffet Attendant must ensure that the buffet looks appetizing to customers. He must make sure that the buffet table is clean. Likewise, he must regularly check whether the buffet is fresh and appealing to clients. He must wear a proper uniform and strive to have a professional appearance. Cashiers: The Cashiers must be able to welcome the guests in the restaurant. They should be able to extend fantastic customer service. Apart from receiving the payment, they are tasked to set the tone of the customer’s dining experience since they are the first and last people that the guests see. Cooks: Aside from preparing food, cooks must ensure the safety and cleanliness of everything served to guests. They need to exhibit mastery of the menu, as well as of the ingredients to be used and the recipes to be followed. They have to maintain a safe and clean cooking environment. Furthermore, they must communicate with team members for special orders. Executive General Manager: The Executive General Manager is in charge of the overall management of the restaurant. He must be knowledgeable of the operations of the company and demonstrate the standards to his workers. Also, he must plan a course of action to achieve maximum sales and profit. Guest Service Specialist: The Guest Service Specialist should provide excellent guest service and must set the tone for each guest. When guests have questions regarding the services and products of the company, the guest service specialist need to provide accurate answers. Maintaining a clean working environment is also among the responsibilities of those given this position. Prep Pro: The Prep Pro need to ensure that the prep list is complete every day. He must see to it that the stocks are according to the specifications of the company. Finally, he must keep the kitchen clean and organized all the time. Servers: The Servers are expected to attend to the needs of customers. They must extend genuine hospitality by being attentive, courteous, and prompt to all requests. Furthermore, servers must be able to personalize each client’s dining experience, just as how they would serve their family at home. Service Assistants: Service Assistants must maintain the cleanliness of the restaurant throughout their duty. They should also ensure that the dishes, silverware, and glasses are clean, facilitating the smooth flow of service. As to be expected, they must maintain a professional appearance and observe safety standards. Unit Shift Leader: The Unit Shift Leader is responsible for assisting the management team. He must ensure that guests are satisfied with the restaurant’s services by maintaining excellence in hospitality, as well as by coaching, delegating tasks, and managing team members. He must see to it that the service area is clean and meets company standards. If you wish to apply for a job, you can write your resume, submit it, and wait for your interview schedule. They pool applicants and they distribute their workforce to their various restaurants in the country. Interested applicants may apply by visiting the company’s official job portal. Alternatively, you may apply by submitting your resume to the nearest Big Boy restaurant. If you need to fill up the online application form, make sure that you answer all items. Do not leave unanswered questions because the system may reject your submission. Likewise, in preparing your resume, see to it that the information you provide is accurate. Provide your personal data and education information. Don’t forget to highlight any relevant work experience. After submitting your application, wait for a call from the management. If they invited you for an interview, dress appropriately and prepare to answer their questions straight to the point. The company believes that they must serve the best quality food at an affordable price. As such, they nurture employees to give their best at work and in the community. Big Boy was recently involved in a racial discrimination issue. However, it was eventually revealed to be a misunderstanding. The person who made the claims apologized and admitted that it was indeed a mistake. The company is known for mouth-watering dishes. It serves hot grilled burgers, sweet desserts, pasta, fries, teas, lemonades, waffles, and other snacks. People of all ages love dining at this restaurant. The company has its own social initiatives as part of their corporate responsibility. They have been involved in charity shows, especially during the holiday season. 1 How old do you have to be to work at Big Boy?